The United States of America: land of liberty, bastion of opportunity, the world’s leading economic power. But if you’re a low-wage worker and wake up sick, you’d better clock in on time or you risk losing your wages and even your job. Paid time off for illness, taken for granted in professional sectors and much of the developed world, remains out of reach for millions of American workers. The United States is the only major developed country that does not guarantee paid sick days to all workers by law. Federal data show that more than one-third of private sector workers throughout the United States do not receive paid sick leave. A disproportionate number of those without paid sick days are women, people of color and people with low incomes. Though women are the primary caregivers in most families, they also make up the majority of workers in low-wage jobs that do not offer paid sick days. Access is particularly bad for Hispanic workers—researchers have found that less than half get paid sick days, compared to 60 percent of workers overall. And for both women and men, federal data show that the highest paid workers overwhelmingly have access to paid sick days, while most of the poorest workers do not. But this month, the Cook County Board of Commissioners in Illinois took a major step toward changing that. The board approved legislation that guarantees paid sick days to all workers in the county, bringing the Chicago suburbs in line with the city. 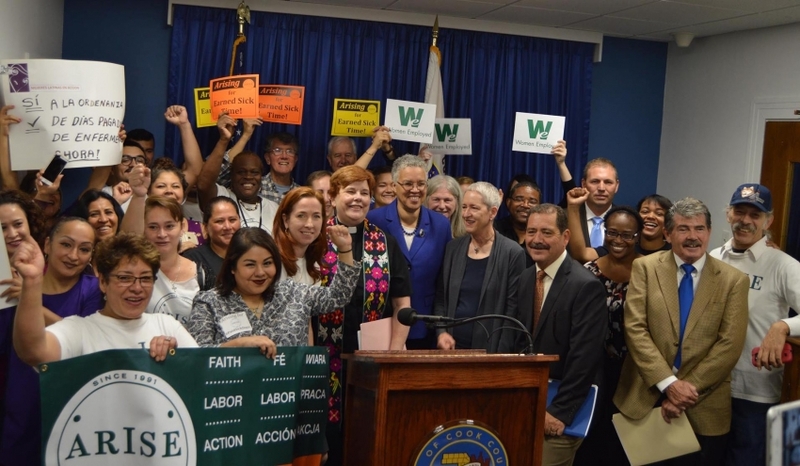 Chicago passed its own paid sick leave ordinance in June. Under the ordinance, Cook County workers will be eligible for 40 hours, or about five days, of sick time per year, the same as workers in Chicago. The Chicago Tribune reports that more than 900,000 workers in the county don’t currently have paid sick days, including 420,000 in the suburbs. The new laws in Chicago and Cook County will take effect July 1, 2017. Melissa Josephs, director of equal opportunity policy for the advocacy group Women Employed, helped campaign for the law. “All employees—no matter their occupation—should have the peace of mind to know they can take time off work for their own illness or to care for a sick family member without fear of losing their job or a day’s pay,” says Josephs. Cook County’s decision is the most recent victory in what seems to be a growing movement for paid sick leave. Since 2006, 38 localities in the United States have passed sick leave legislation. This year alone, 12 paid sick leave laws have been passed across the country, including in Vermont and major cities like Los Angeles and San Diego. Also this year, the momentum for paid sick leave reached the Obama administration. At the direction of the President, the Department of Labor issued new rules requiring federal contractors to provide up to 56 hours, or more than a week, of paid sick leave per year, which will impact more than a million workers when they go into effect. Tamara Green, 29, did not have access to paid sick leave until recently. A few years ago, she was working for a major fast-food chain in New York City. She was also taking care of her mother, who is HIV positive. One day, her mother fell ill unexpectedly and Green asked her boss if she could leave. Her boss told her that if she left, she would consider it a walk-off and she would not be paid. Paid sick leave benefits more than individual workers like Green. Research has found that giving workers the ability to stay home when they’re sick without sacrificing their wages benefits public health and the economy. Paid sick dayslead to higher rates of preventative medical care, including mammograms and Pap tests, decrease workplace injuries and reduce rates of illness. Opponents have argued that sick leave laws burden businesses or force them to make pay cuts. But an analysis by the Institute for Women’s Policy Research found that sick leave poses minimal costs to employers. The cost of paid sick leave policies to employers in Seattle, for example, was less than one percent of revenue on average. What’s more, research indicates that the costs of paid sick leave would be at least partially offset by benefits to employers like reduced turnover, increased morale and increased productivity. The building momentum for paid sick days suggests that local lawmakers as well as the general public are seeing these benefits. National surveys have shown that the majority of the public supports laws that would mandate paid sick leave. But at the state and federal level, it’s an uphill battle. Between 2000 and 2013, state legislatures in 10 states—the majority of which were controlled by Republicans—passed laws that prohibit local governments from mandating paid sick days. The Healthy Families Act, which would mandate paid sick time to most workers nationwide, has been stuck in Congress for years. At her new job, Tamara Green finally has access to paid sick days. She says knowing that she can care for herself or her mother during an emergency means she no longer has to choose “health over wealth,” and she hopes to see the day when no one in the world has to make that choice. This blog originally appeared at inthesetimes.com on October 13, 2016. Reprinted with permission. 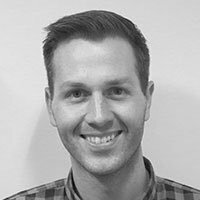 Jonathan Timm is a freelance reporter who specializes in labor and gender issues. Follow him on Twitter @jdrtimm. This entry was posted on Thursday, October 13th, 2016 at 1:01 pm. You can follow any responses to this entry through the RSS 2.0 feed. You can leave a response, or trackback from your own site.